An old grey garden fence can be de-greyed, brightened up and repainted in a few simple steps. 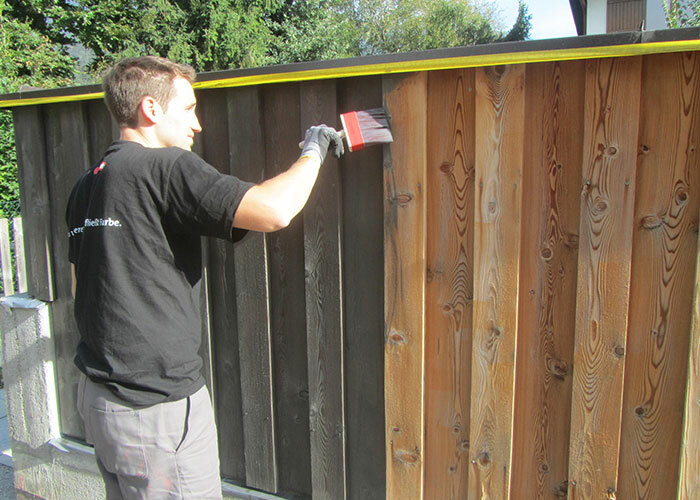 ADLER shows how easy painting the garden fence is and which products are best suited for it. 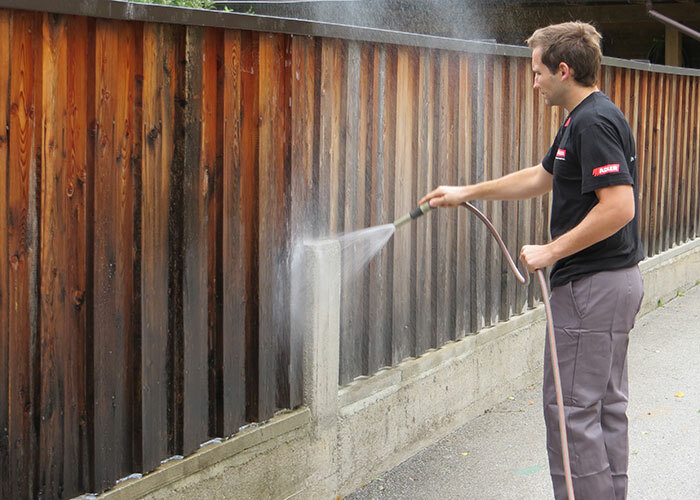 After just 10 to 20 minutes the ADLER Holzentgrauer has done its job and you can remove it with a lot of water and the help of the high-pressure cleaner. 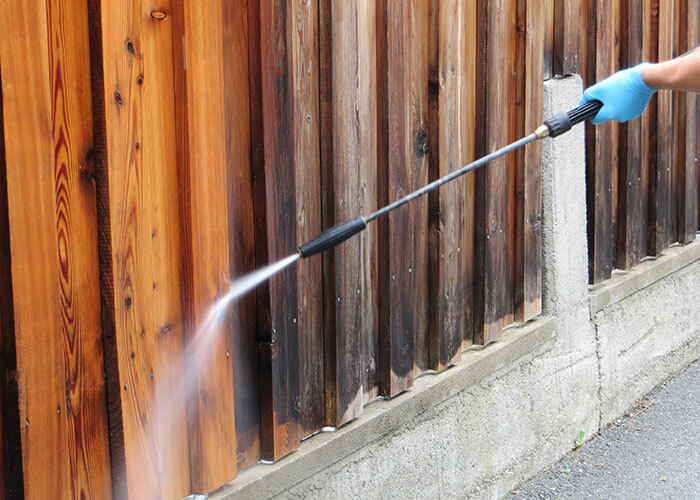 Allow the garden fence to dry for several days in good weather. 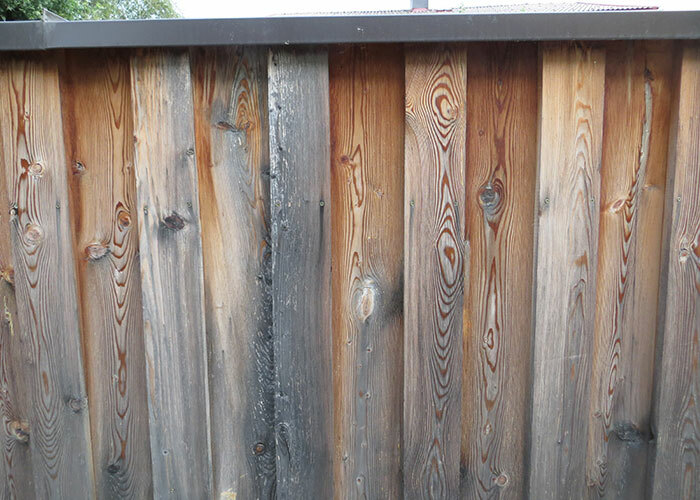 Only a well-dried fence subsequently allows a uniform coat. 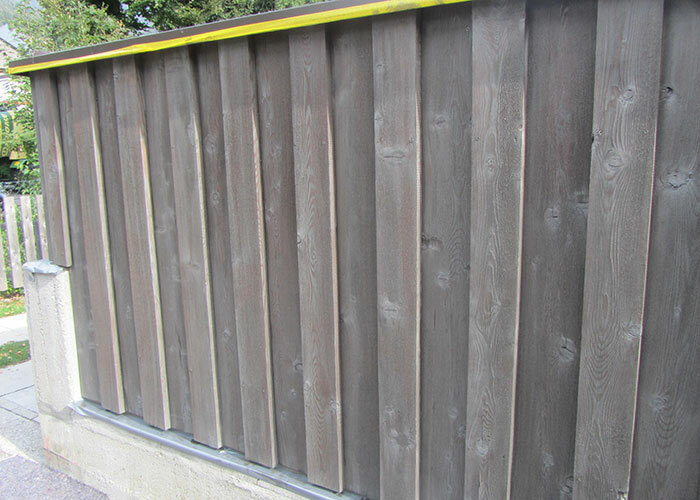 For this fence we chose a particularly effective coat of paint which was the glaze-finish penetrant Pullex Silverwood in the colour shade Graualuminium (grey aluminium). 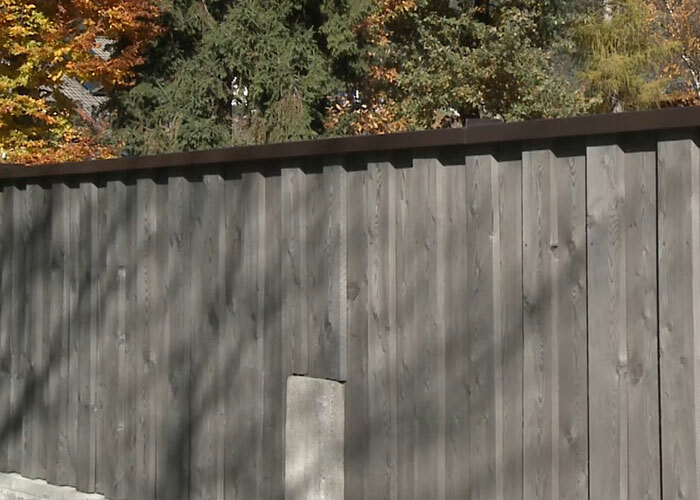 The silver-grey pigments give the garden fence a metallic, modern character when painted. 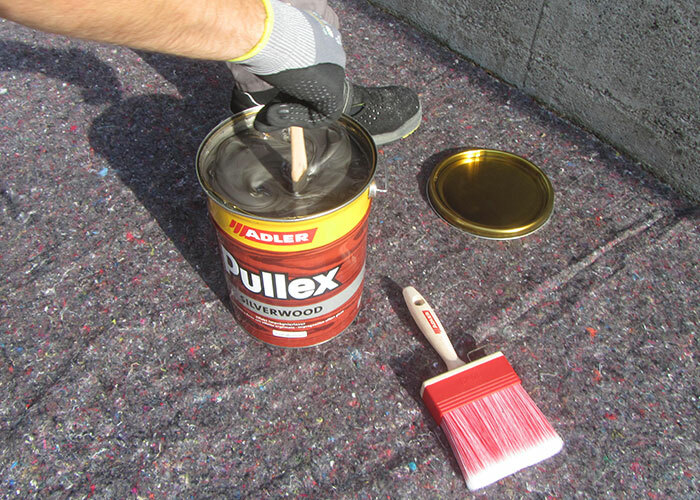 Stir the Pullex Silverwood well and apply the transparent wood finish evenly and without excess with the ADLER Solvamaxx paint brush. 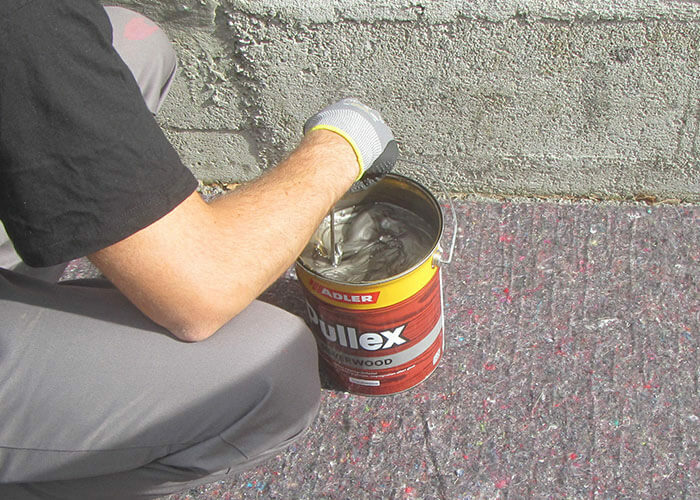 To prevent the silver pigments from settling on the floor, stir the Pullex Silverwood repeatedly while painting. 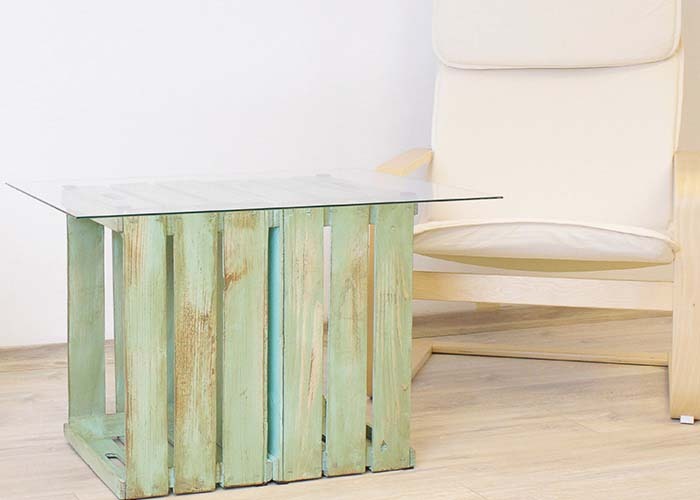 In fair, unsettled weather you can apply the wood protection transparent wood finish a second time after 12 hours' drying time. This ensures full UV and weather protection. Pullex Silverwood doesn't only protect the wood, but anticipates in an elegant way the natural greying and therefore confers to the wood for a long time a uniform appearance.